The final Tounament of Stars is Scheduled for Saturday, July 23rd at 6:00 PM. As always, the event is brought to you by The Bridgemen and will be held at the Don Ahern, Veterans Memorial Stadium, 198 West 25th Street in Bayonne. This year’s show is being cosponsored by Fusion Core of Lake Hopatcong, NJ. Sanctioned by Drum Corps Associates, it will, once again, be a competitive event. Featuring groups from all across the tri-state area, this year’s program will be another historic evening of pageantry at its finest. 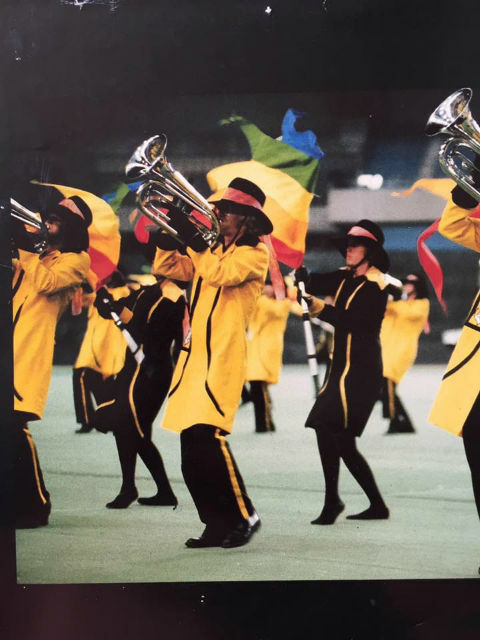 The first half of the show will include performances from; The Saints Brigade, The Reilly Raiders, The Skyliners Alumni, The Raiders and the Caballeros Alumni Corps. The second act will be part of the DCA competitive series including the Sunrisers, The Hawthorne Caballeros and Fusion Core. 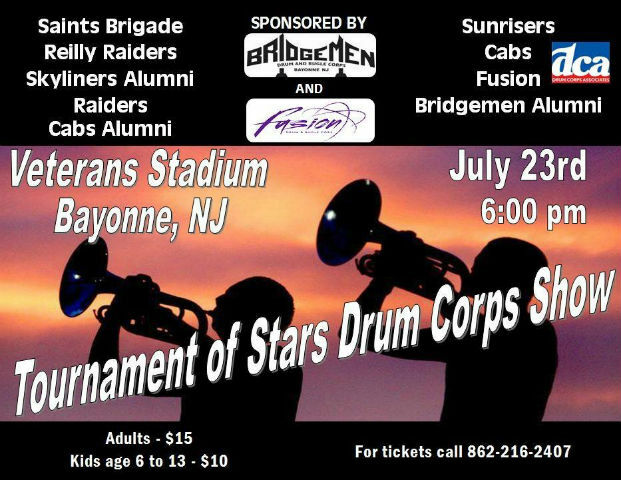 The hometown Bridgemen Alumni will provide the finale as they say goodbye to Bayonne with a program of some of their hits from their storied history. Although the Alumni corps is leaving us, the organization will remain active; hoping to continue their scholarship programs and sponsoring several ensembles as a performing arts organization. Since the 1960’s, the Bridgemen have called Bayonne their home. 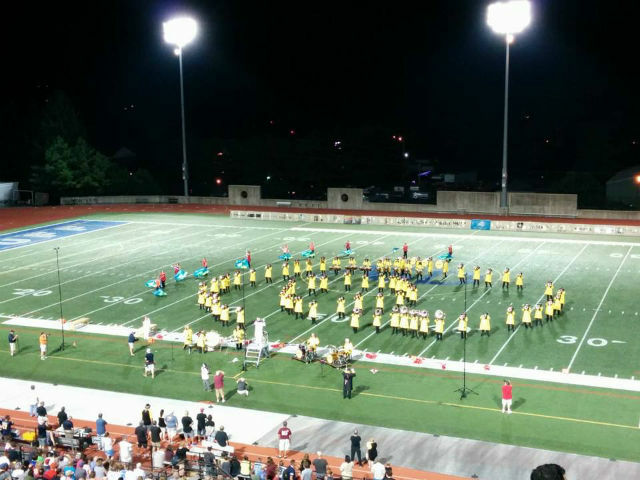 This will be the last time the corps will perform at “Vets” and the last opportunity for fans to see them live and in person. So please, plan on coming out to be part of this historic evening. Call 862-216-2407 for tickets. Posted by News Editor on Friday, July 1st, 2016. Filed under DCA News, FrontPage Feature.